The Emergency Repair Disk Commander, known also as ERD Commander, is very useful tool for troubleshooting Windows using a a pre-installed environment and interface. ERD Commander is contained in The Microsoft Diagnostics and Recovery Toolset (MSDaRT ) which is part of the Microsoft Desktop Optimization Pack (MDOP). ERD Commander is very useful for diagnosing and repairing faults on unbootable computers, and normally comes in the form of an ISO file which is burned to CD to create a bootable ERD Commander Rescue Disk. However these days many Ultraportable Laptops and Netbooks have no Optical Drive, so it is impossible to use a ERD Commander boot CD to boot a netbook or ultra-portable notebook. There have been many articles describing the process of creating a bootable USB Flash Drive for ERD Commander from an ERD Commander ISO file, but seems too be a somewhat complex and tricky process with many people experiencing frustrations. 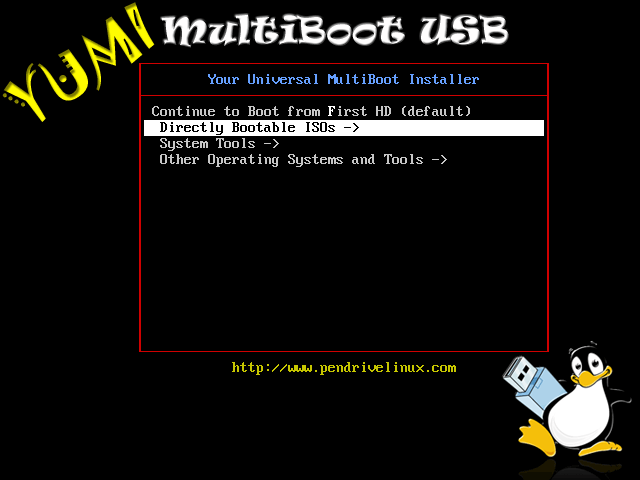 Fortunately there is now a simple tool YUMI – Multiboot USB Creator (Windows), which provides an easy way of making a Bootalble USB FlashDrive for ERD Commander, and which also provides a Selector screen, so that you can add additional ISO images like Hiren’s Boot CD – another very useful diagnostic utility. If you already have an ERD Commander ISO, or have created a Free ERD Commander ISO for Windows XP you can follow these instructions for making a bootable flash drive with it. It seems to work very well – I have tried various methods and this is the easiest! If you get a blue screen crash when you try and boot ERD Commander from a USB Drive try a different USB Drive. I have had good results wth these Kingston Drives 4gb, 8gb and 16gb – the swivelling Data Traveller type. Get ERD Commander for Windows XP for FREE! With 32Bit Windows 7 and Vista systems you should be able to attach to the installation, and use Locksmith (to reset Windows passwords) and use Windows Explorer to move files onto a USB memory key or external hard drive (see here). However attaching to Vista or Windows 7 installations wipes out any System Restore points, so this should be done with caution. With 64bit systems it will not be possible to attach to the installation, but it should still be possible to boot your PC or laptop by not attaching to the installation. You can then use Windows Explorer to Recover Data – move files onto a USB memory key or external hard drive, (see here) but none of the other ERD Commander tools will work.